While the global financial crisis of 2007 and 2008 may feel like an increasingly distant memory, its effects continue to be felt across the whole of the financial world. Despite significant improvements in the global economic landscape in the intervening years, global growth has been hampered in recent years by various geopolitical factors, including political uncertainty resulting from the change in administration in the US in 2016 and the rise of populist movements in Europe. As the UK prepares for Brexit, absent any agreement to the contrary currently set to take place in March 2019, political uncertainty remains around the form and extent of any UK–EU deal relating to financial services, and as to whether any transition period (during which UK firms would remain able to access to EU markets on current terms) will be agreed. This has had, and is likely to continue to have, a potentially destabilising effect on the UK asset management sector and its clients. The impact of the UK's decision to leave the EU is thus already being felt, not only in the UK and across the European continent, but also more widely. Nevertheless, the importance of the asset management industry continues to grow. Nowhere is this truer than in the context of pensions, as the global population becomes larger, older and richer, and government initiatives to encourage independent pension provision continue. Both industry bodies and legislators are also increasingly interested in pursuing environmental, social and governance goals through private sector finance. For example, the European Commission has proposed a package of measures seeking to introduce sustainable finance into current regulations to make it easier for investors to identify and invest in such projects. The activities of the financial services industry remain squarely in the public and regulatory eye, and the consequences of this focus are manifest in ongoing regulatory attention around the globe. Regulators are continuing to seek to address perceived systemic risks and preserve market stability through regulation. In Europe, further significant changes to the regulatory landscape for investment services were introduced by the revised Markets in Financial Instruments Directive regime (known as MiFID II), which has applied since 3 January 2018. In the UK, the Financial Conduct Authority continues to focus on the asset management industry. In 2017, it published its asset management market study on the performance of the asset management market for retail and institutional investors, and is beginning to implement its findings during the course of 2018. In contrast, the Trump administration in the US has signalled a deregulatory agenda, which includes plans to repeal the Wall Street Reform and Consumer Protection Act of 2010 (also known as the Dodd-Frank Act). It is not only regulators who continue to place additional demands on the financial services industry in the wake of the financial crisis: the need to rebuild trust has led investors to call for greater transparency around investments and risk management from those managing their funds. Senior managers at investment firms are, through changes to regulatory requirements and expectations as to firm culture, increasing being seen as individually accountable within their spheres of responsibility. 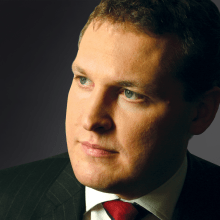 Industry bodies have also noted further moves away from active management into passive strategies, illustrating the ongoing pressure on management costs. This may, in itself, be storing up issues for years to come. The rise of fintech and other technological developments, including cryptocurrencies, data analytics and automated (or 'robo') advice services, is also starting to have an impact on the sector, with asset managers looking to invest in new technologies, seeking strategies to minimise disruption by new entrants, or both. While regulators are open to the development of fintech in the asset management sector, they also want to ensure that consumers do not suffer harm as a consequence of innovations. Regulators across various jurisdictions are working together to develop a global sandbox in which firms can test their new technologies. This continues to be a period of change and uncertainty for the asset management industry, as funds and managers act to comply with regulatory developments and investor requirements, and adapt to the changing geopolitical landscape. Although the challenges of regulatory scrutiny and difficult market conditions remain, a return of risk appetite has also evidenced itself and the global value of assets under management continues to increase year on year. The industry is not in the clear but, prone as it is to innovation and ingenuity, it seems well placed to navigate this challenging and rapidly shifting environment. 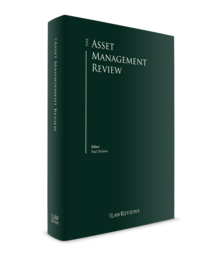 The publication of the seventh edition of The Asset Management Review is a significant achievement, which would not have been possible without the involvement of the many lawyers and law firms who have contributed their time, knowledge and experience to the book. I would also like to thank the team at Law Business Research for all their efforts in bringing this edition into being. The world of asset management is increasingly complex, but it is hoped that this edition of The Asset Management Review will be a useful and practical companion as we face the challenges and opportunities of the coming year.